After my interviews on Wednesday, it was such a glorious day that I couldn’t bear to take the metro back home (last week was quite grey and chilly, but the last few days have been amazing – Wednesday was 26 and sunny, and I got my first French sunburn), so I wandered around the area, down Rue Montorgueil later down to Les Halles where I sat in front of the Eglise Saint Eustache. Rue Montorgueil is incredible – it is a long, winding market street that is practically entirely pedestrian, filled with cafés and their small, round tables spilling out onto the road, as well as gourmet cheese shops, artisan bakeries, a couple of beautiful chocolate shops, and butcheries. The surrounding quarter is just as interesting – filled with similar streets as well as clothing boutiques and expensive hotels, the buildings are like something from a film, with wrought-iron window-boxes that have red-flowered pot plants attached to the edges, and the plants have outgrown their pots so that the balustrades are draped in leaves. Although the Quarter Motorgueil doesn’t have traditional market stalls, it still has all of the noise and colour and life that I love about the French markets – every few meters the scent of smoky meat frying, fresh bread or bouquets of flowers wafts onto the street . . . Some of the cafés had their own music playing and there was a flurry of conversation everywhere, it was an eclectic mix of smells and sounds. 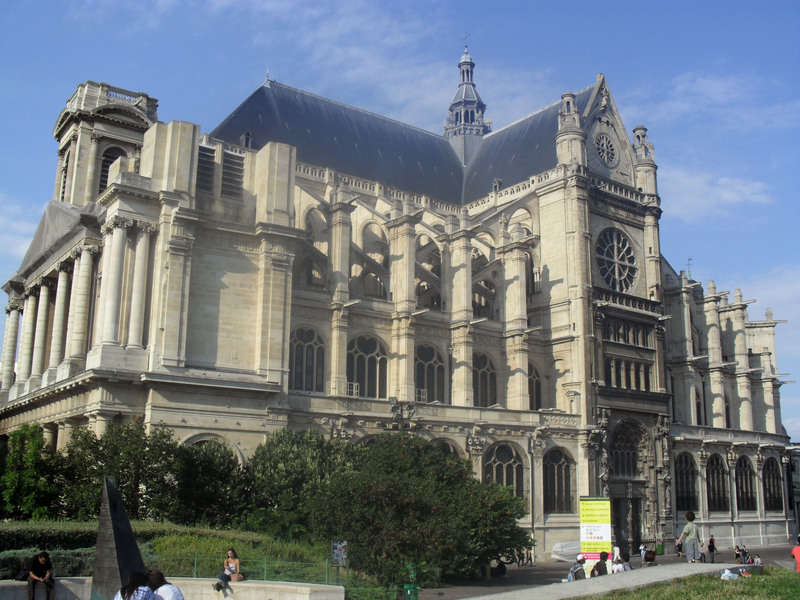 Later I sat on the grass outside the Eglise Saint-Eustache de Paris, where the air smells like jasmine in summer. 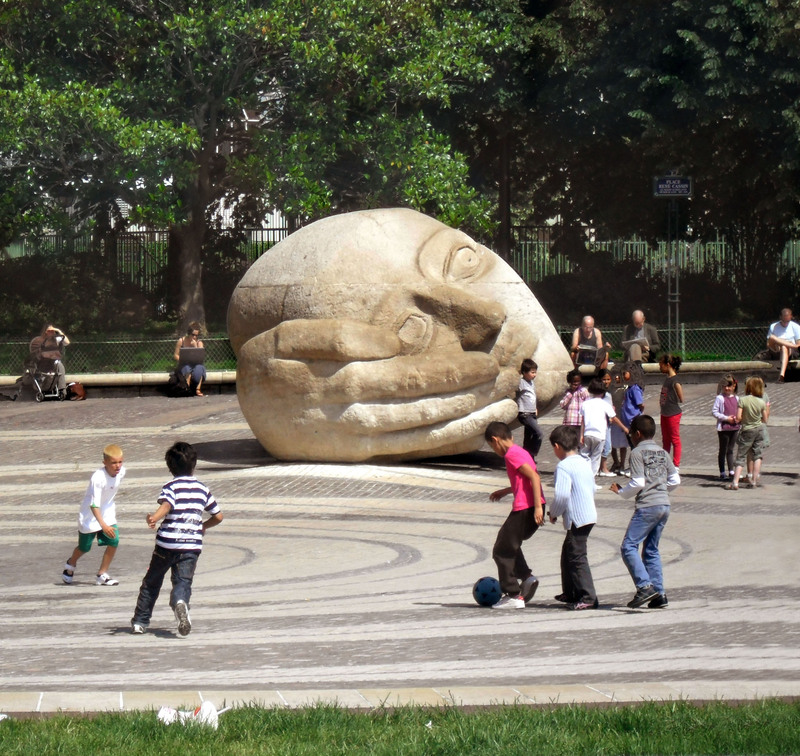 Kids were splashing barefoot in the fountains and climbing all over a statue of a head (I still have no idea what it’s called), while older students had picnics and lolled about on the grass steps – I think I was the only person there who was wearing a suit. The air was alive with the fountain’s waterfalls, children’s gleeful cries and the hushed tones of friends and couples, and I reflected on how lucky I am to be here. 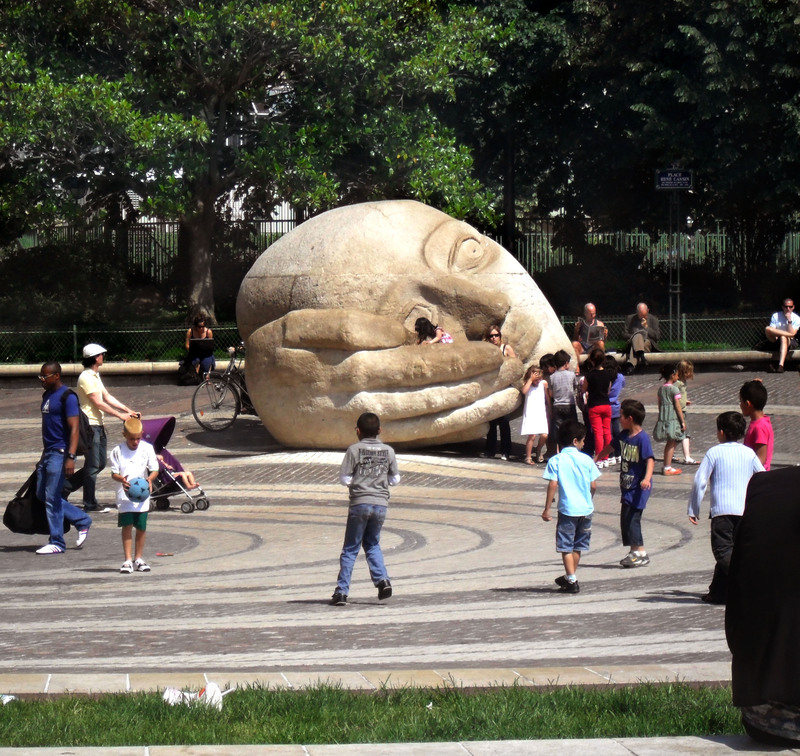 You may have noticed that my mood has improved – being active by having interviews helps, and making the most of my free time in Paris by wandering around small streets and large parks keeps me busy too. When I was sitting in front of the church yesterday, I finished Almost French, and my anxiety about dragging the ending out seemed exaggerated.